In my eyes, Quentin Miller is one the most consistent artists in rap right now, and today, he’s here to prove this prowess with an addictive new offering entitled “Road Less Traveled…”. As the title denotes, this song shows us a perfect example of Miller doing his own thing and paving his own lane regardless of what others are doing or saying. Throughout the many miles that he’s traveled in his career, the ATL-bred talent has always stayed true to himself, and with his latest, he keeps this theme going with unforgettable lyricism and a knocking beat that will be stuck in your head after just one listen. 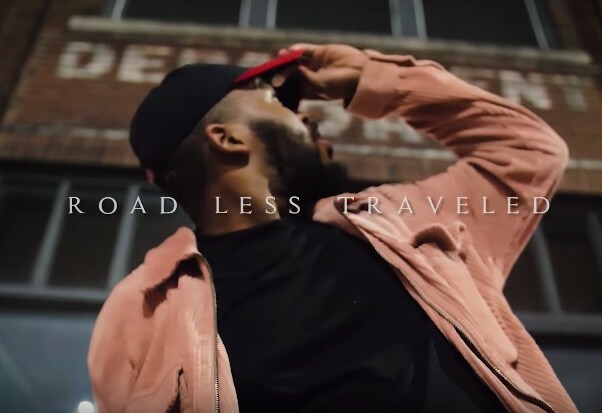 All things considered, Quentin Miller is making some of the finest music of his career, so be sure to keep a close eye out and watch the hypnotic visuals for “Road Less Traveled…” at the link below!